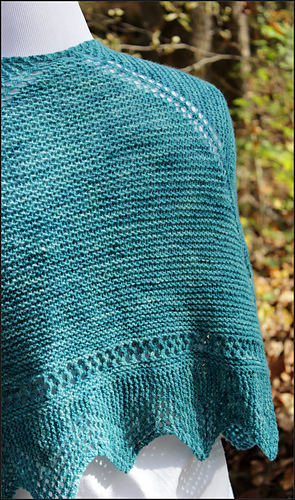 Inspired by traditional Shetland shawls, this shawl incorporates raglan style shaping with garter stitch and lace. The bottom edge is an applied lace edging that is easily memorizable. Perfect to keep the chill off on a crisp fall morning. 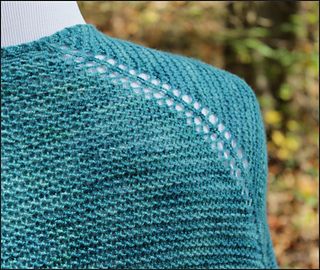 This pattern is also available in kit form through Infinite Twist. 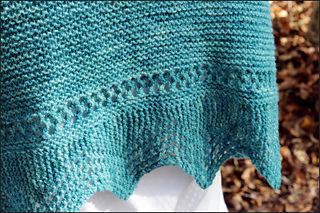 You can purchase either a yarn kit or a spin for the shawl kit on the linked website. 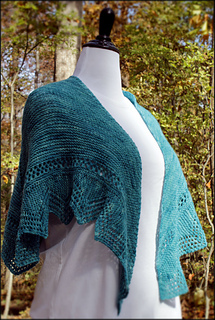 While you are there, check out the Trouvaille Shawl kit designed by my partner in crime, Leslie Thompson. Error: Row 2 of edging should read: Slip one, Knit 11.